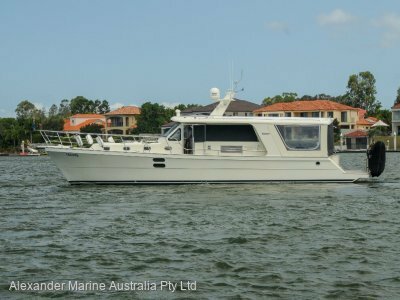 Grand Banks Yachts Australia are pleased to present 'Black Witch' to the market. She is undoubtedly one of the best presented Grand Banks 47 EU's in Australia. In the custody of only her second devoted owner she is presented in outstanding condition. 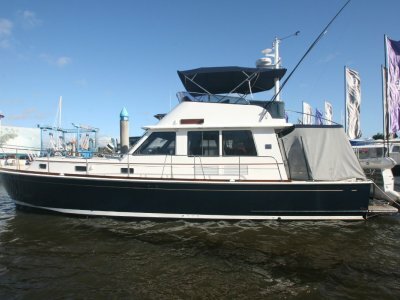 The Grand Banks build quality is complimented by her owners extensive and ongoing maintenance and upgrades program. This GB47EU is the perfect cruising platform. She offers two spacious cabins each with their own bathroom and separate shower stalls. She is an ex-factory extended cockpit example providing a spacious cockpit area well protected from sun & rain by the flybridge hardtop overhang. 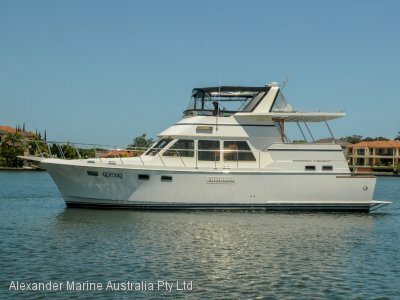 The GB47 offers economical cruising at 10 knots, yet will sprint to 24 knots as required which is always handy. The saloon and galley areas offer lots of natural light and (fly screened) ventilation. The lower helm, immediately adjacent the galley so as the skipper doesn't feel left out (or goes hungry! 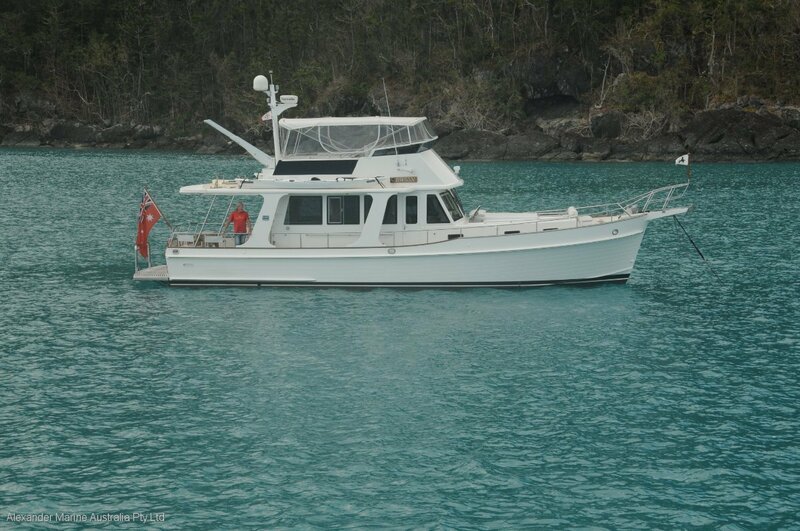 ), is complete with a pilothouse door that permits easy access to the side deck when berthing - she is indeed a very user friendly boat complete with walk around decks keeping those young and old safe. Engine room access is excellent - once in the well laid out engine room you will observe the work bench with drill press and vice! 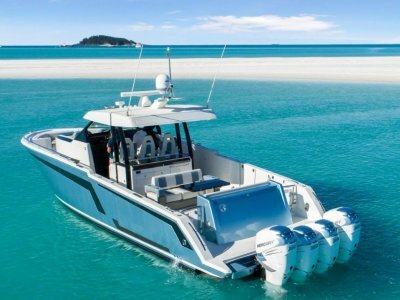 Of specific interest to a serious buyer would be the unique upgrades to this vessel including but certainly not limited to a lithium battery system, additional long range fuel tank, custom kayak storage system, upgraded capable RIB tender, and additional refrigeration & freezer capacity for extended cruising. Throughout the boat - from stem to stern - her knowledgeable current owner has made endless improvements to continually refine and improve the enjoyment that comes from owning a Grand Banks. I say again, this is a very special boat. Inspection by appointment of this irreplaceable 47EU is highly recommended and will not disappoint the most fastidious of buyers.